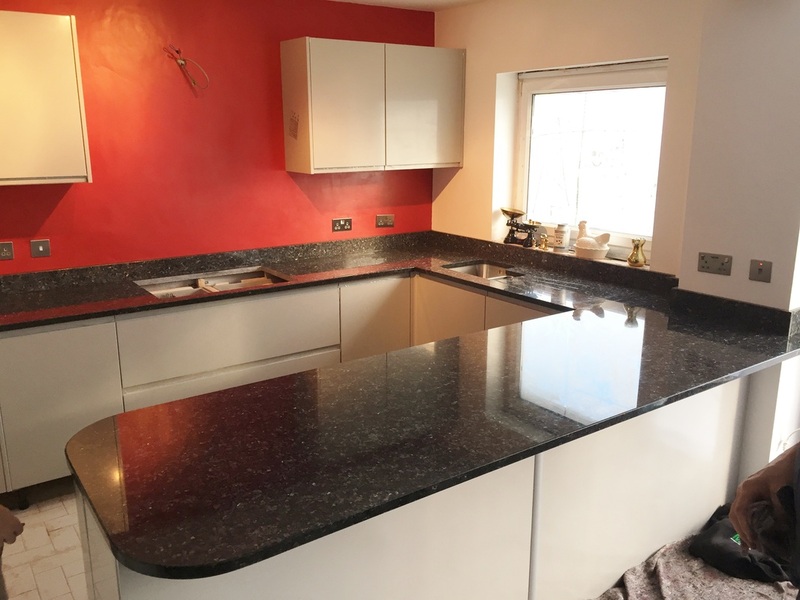 What Is Blue Pearl Granite? 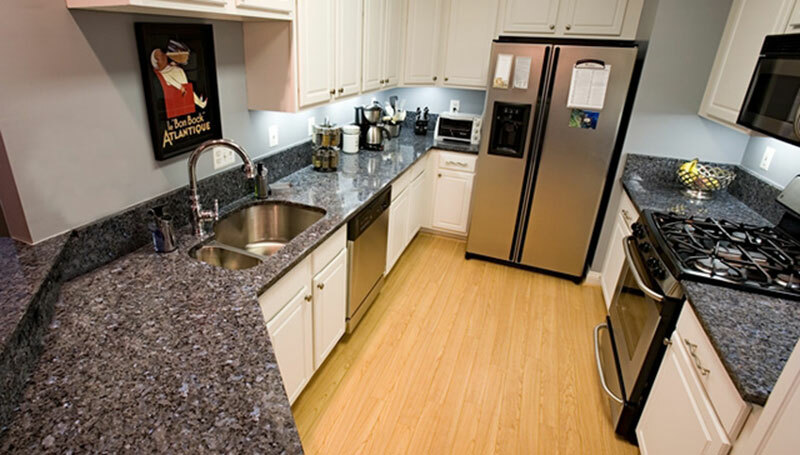 Blue Pearl is a very popular granite that is quarried in Norway in large quantities. Its dark color and hard mineral composition ensure that it is highly stained resistant and will not discolor from heat unless it is exposed to it in excessive amounts. 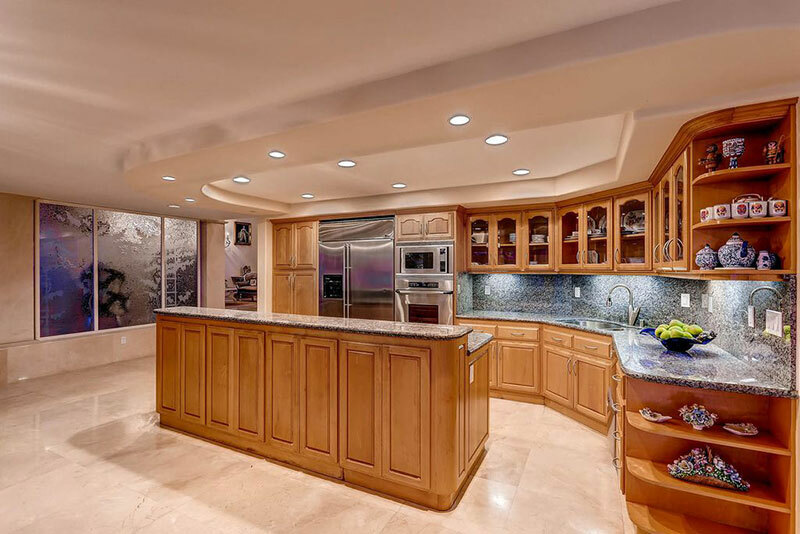 The durability of Blue Pearl is something that has been capitalized on by interior designers all over the world, and it is very commonly used as wall cladding in high-class commercial applications. 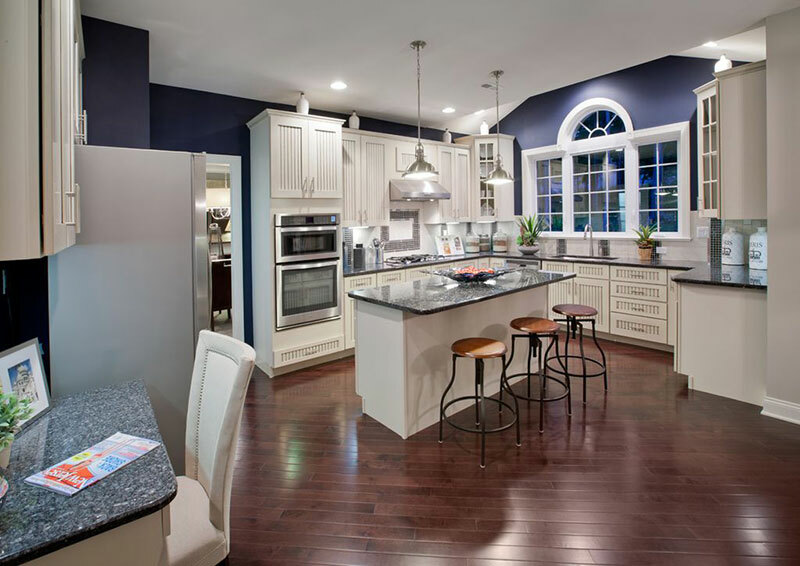 However, the beauty of Blue Pearl is equally at home when used for kitchen countertops, bathroom countertops, or flooring. 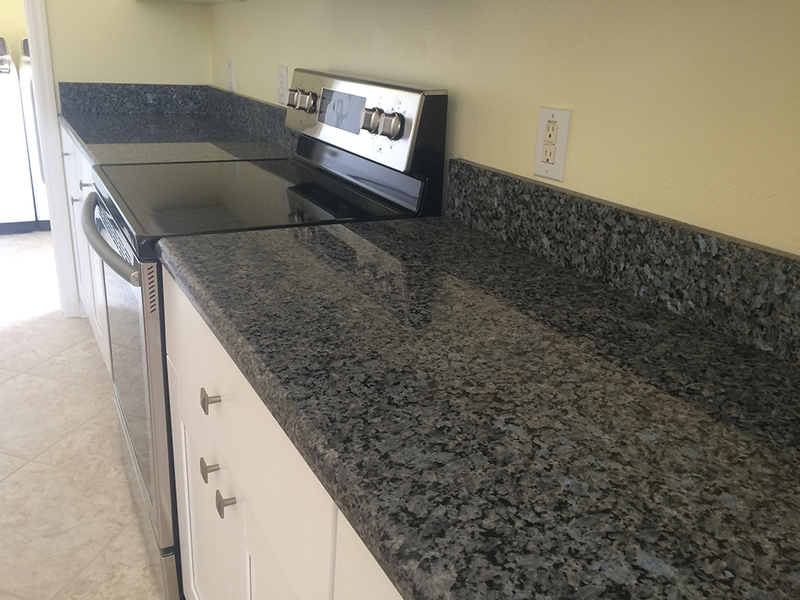 What Color Is Blue Pearl Granite? 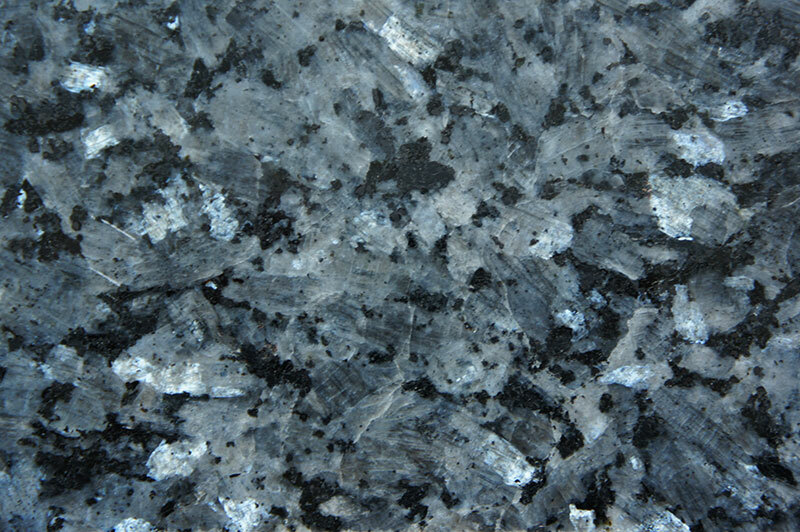 You may think from the name of this granite that it would be blue in color. But even when viewed from a distance, Blue Pearl granite is a dark gray in color (not dark enough to be confused with black). This dark gray has subtle tones of navy blue running through it, and the amount of blue that is found differs from slab to slab – with some being bluer than others. 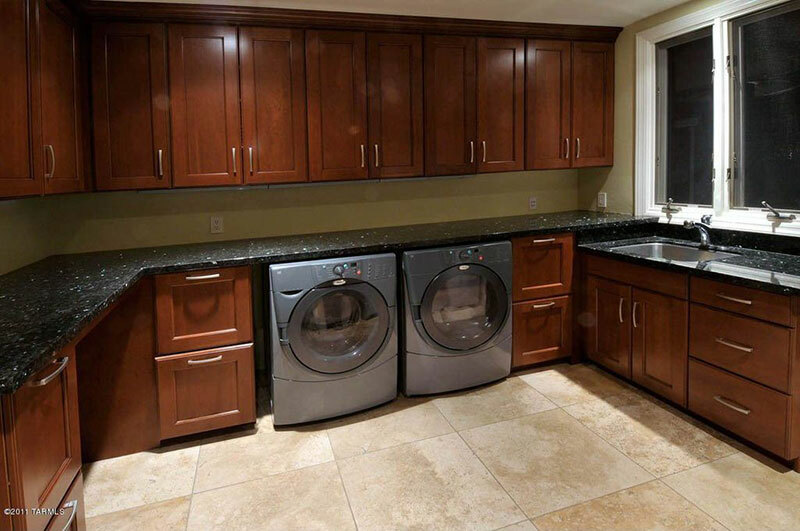 Even from a distance, it is easy to see that this granite is not uniform in color. Mineral deposits of different colors, shapes, and sizes are easily visible. The dark gray bedrock of this mineral is almost completely consumed by minerals. You will find upon closer inspection that the majority of this stone is made up of incredibly small black, brown, and gray minerals in a wide range of shades. Large quantities of a shiny reflective mineral are present in every slab of this stone. When highly polished they catch and reflect even the smallest amounts of light. They will usually glitter and shine regardless of where you are standing in the room. 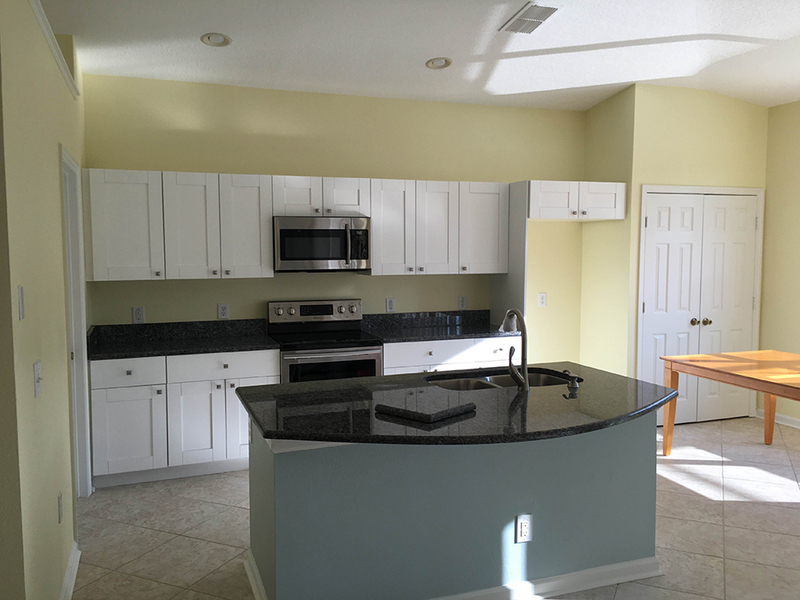 What Cabinet Colors Go Well With Blue Pearl Granite? 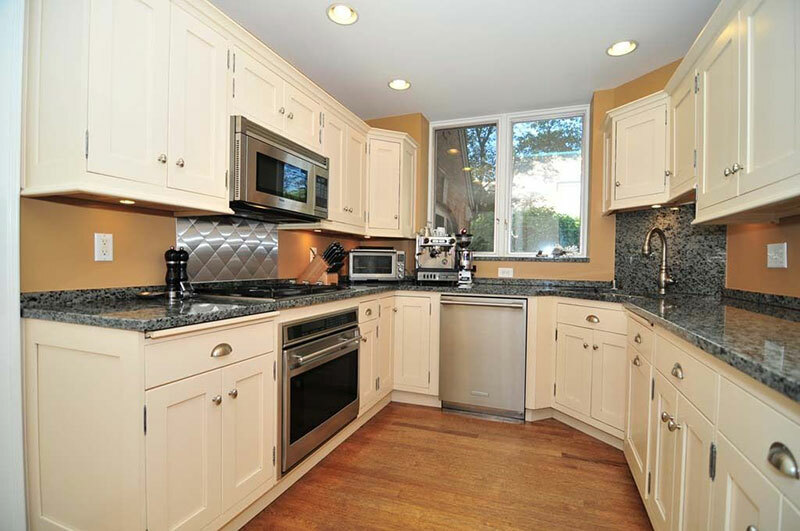 Our personal favorite cabinet color combination with Blue Pearl granite countertops is brilliant white. 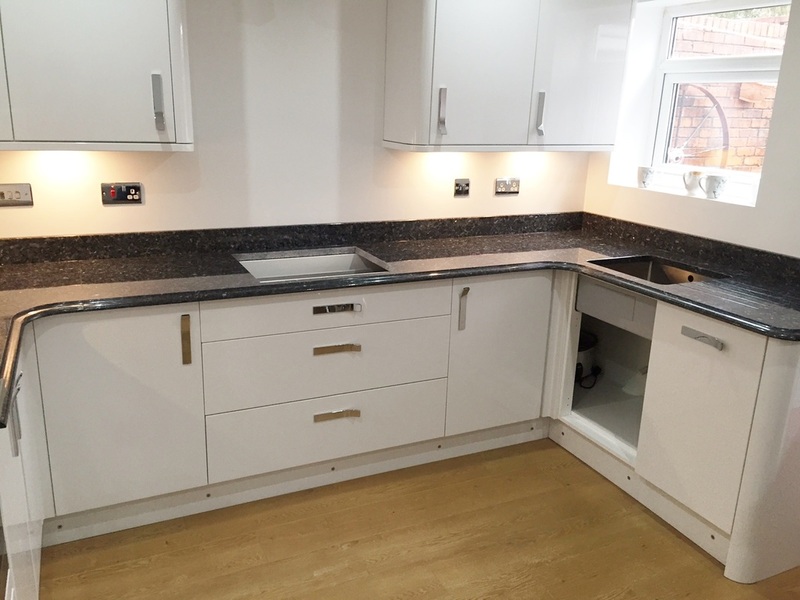 This is because when it is combined with white cabinets the blue minerals in the granite are really given the opportunity to stand out in your kitchen. 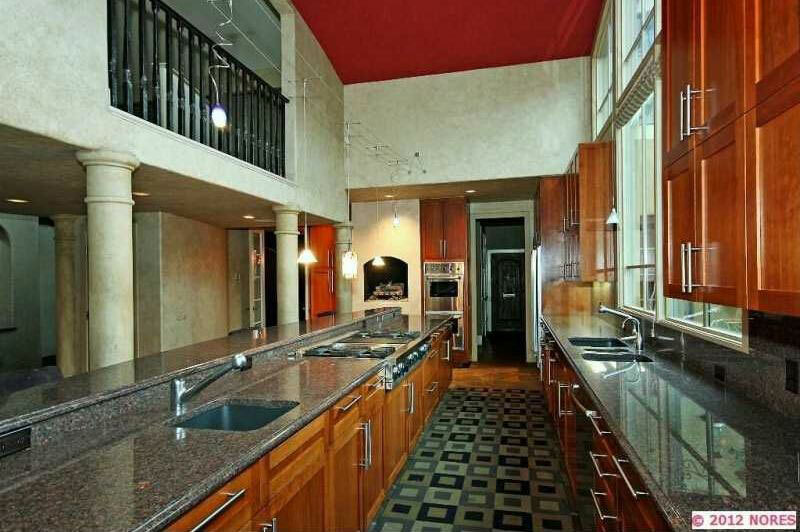 It makes your countertops look much bluer than gray – which is truly a stunning effect. Don’t worry about it being too bold and vibrant – the dark gray and black mineral deposits help ground the color. It brings the whole combination under control before it gets a little bit too wild. 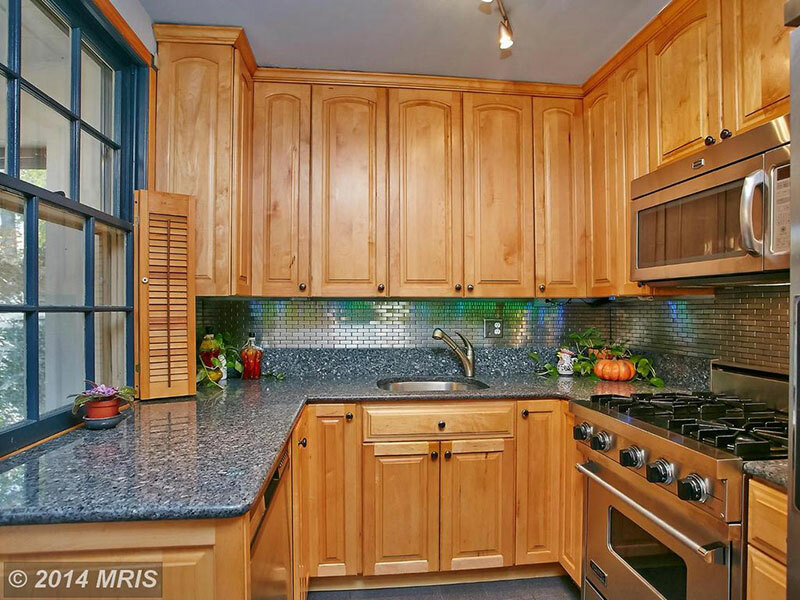 If used with darker cabinets the blue minerals are muted slightly among the rooms darker tones. 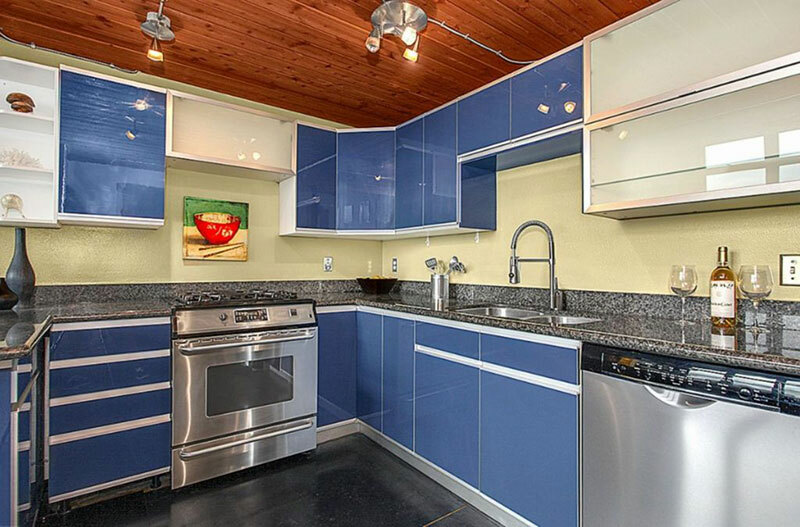 The countertops take on a gray appearance with stunning blue undertones. This is a beautiful combination if you are looking for mostly gray countertops but want a little additional interesting twist. 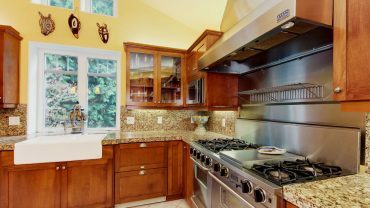 How Much Do Blue Pearl Granite Countertops Cost? 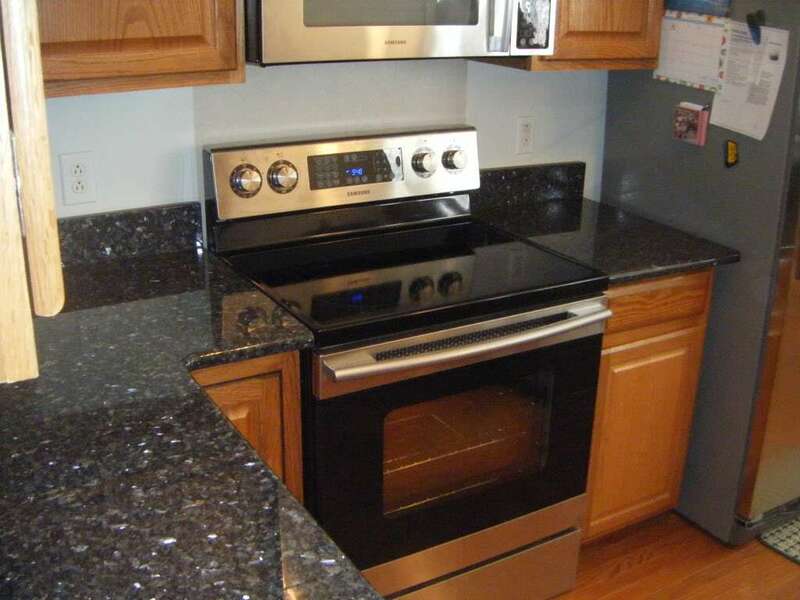 Blue pearl granite countertops vary quite drastically in price. You can find some of the “standard” slabs (slabs with average amounts of blue) for around $300 to $400 per square meter. Slabs that have a much higher concentration of the blue mineral often come at an additional premium as they are considered much more beautiful. 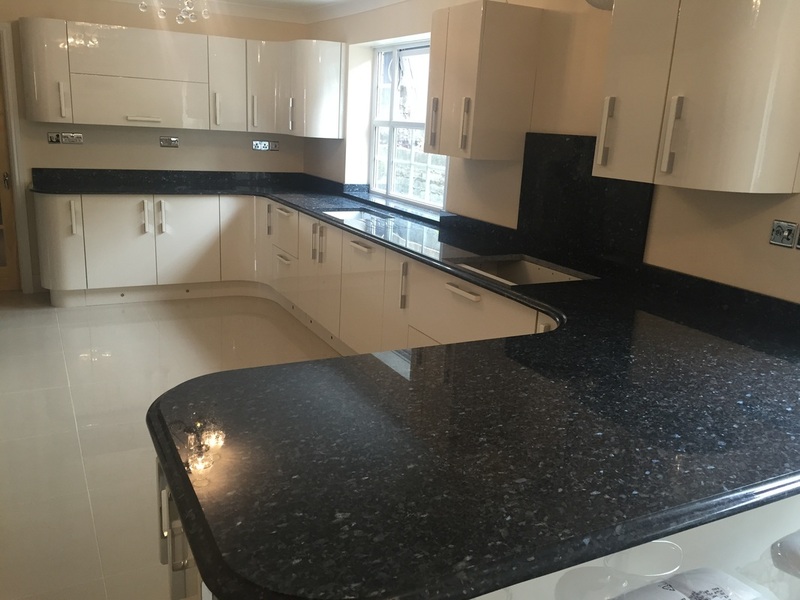 The additional amount that these extra special slabs cost varies wildly depending on the vendor and upon the amount of blue the slab contains – they are very much a bespoke order. Be sure to ask any supplier you consider working with if they have any of these extra special beauties in stock – because they can be outstandingly attractive. 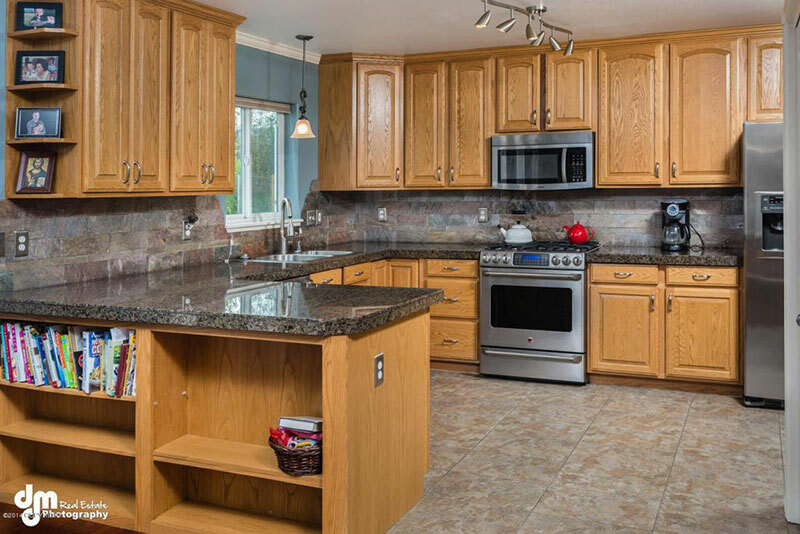 Blue pearl granite is one of the most durable granites you will ever find, which makes it perfect for use in countertops. 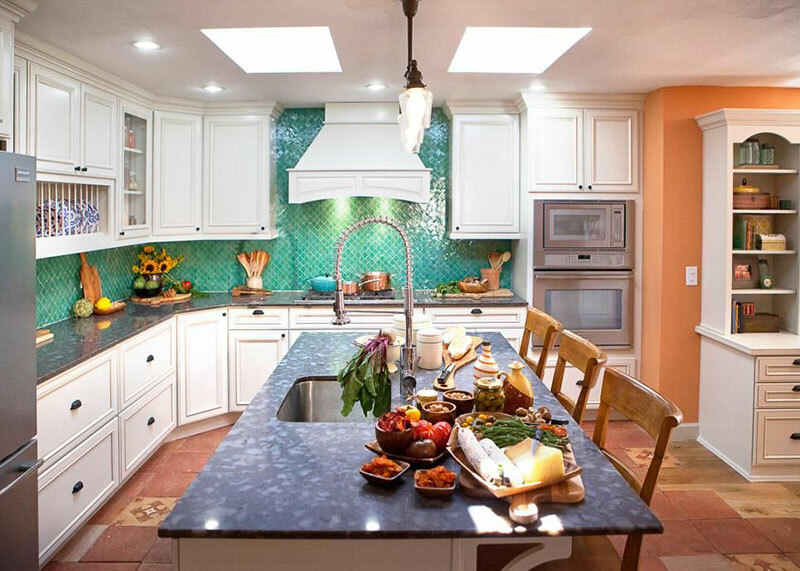 The stunning blue minerals that blend seamlessly through the gray bedrock can be used in a wide range of kitchen décor styles to amazing effect. 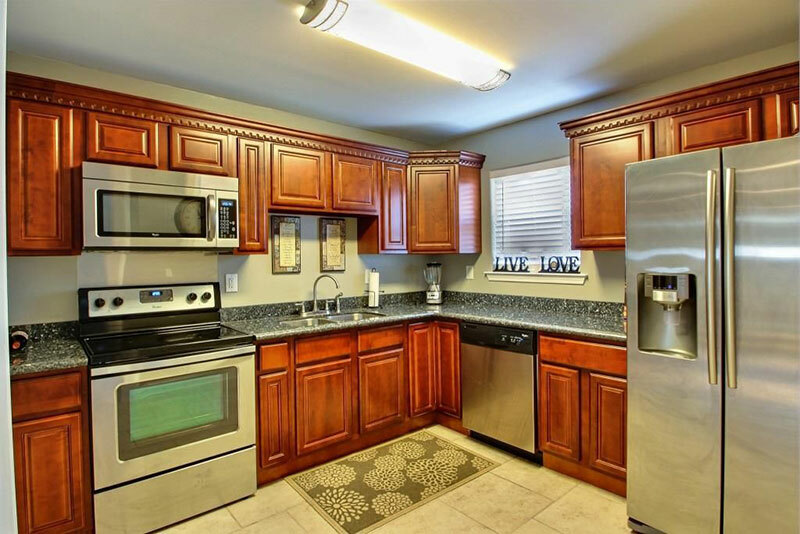 Overall it is a great option that is reasonably priced and is certainly worthy of anyone’s consideration.